Virtual Kitchens have no tables or storefront, but are raking in new customers everyday. Imagine you’re scrolling through your favorite online ordering app, like DoorDash or Postmates, looking for something to eat, and you come across a restaurant you’ve never heard of before. Well, what if I told you that Grilled Cheese Heaven was running out of the same kitchen as your favorite deli just down the street? Virtual Kitchens (VK’s) are popping up all across the nation and helping restaurants grow their online ordering businesses. 1. What are Virtual Kitchens? A Virtual Kitchen is a restaurant that only exists on an online ordering app. There is no walk-up storefront, and customers can only access the menu through the various delivery apps. If you’re not looking at a screen, you won’t find the restaurant. 2. Why are restaurants opening Virtual Kitchens? Hungry customers aren’t just looking for convenience when placing an order on a third-party app, they’re looking for options. Traditionally, opening a new restaurant concept meant actually opening a new location, an expensive and time-consuming decision. Now, restaurant owners are able to create many concepts out of a single kitchen, giving customers new experiences (and menus!) with each VK. 3. What does it take to make a Virtual Kitchen successful? Know your delivery area! Search some Virtual Kitchen cuisine types that you’re considering within your restaurant’s delivery radius and see if your VK cuisine type is already a crowded space or if there are any underserved cuisine types that you can fulfill. Once up and running, it’s important to make your customers aware that your online-kitchen exists! Unless your VK has a recognizable name, some advertising efforts may need to be made to kickstart your incoming orders. 4. Are there certain menus that do better with Virtual Kitchens? Keep it short and sweet… or savory, you get the point. If your menu is too long, customers may struggle between too many options and could move onto another restaurant selection. Plus, the shorter your menu, the more specialized it can be, just like Grilled Cheese Heaven. 5. How does Ordermark help Virtual Kitchens? Ordermark helps Virtual Kitchens maximize their space, grow their revenue, and streamline operations by sending all online orders to a single printer and dashboard. When you’re running multiple restaurants out of a single kitchen, it’s important to save space. Each VK that you add to your restaurant will come with its own delivery tablets, printers, fax machines, and email addresses. Ordermark consolidates all of these into just one tablet and printer. Think about it like this: If your restaurant has four online ordering services and you add two Virtual Kitchens, each with four online ordering services, that’s a total of 12 tablets you’ll need on your counter! 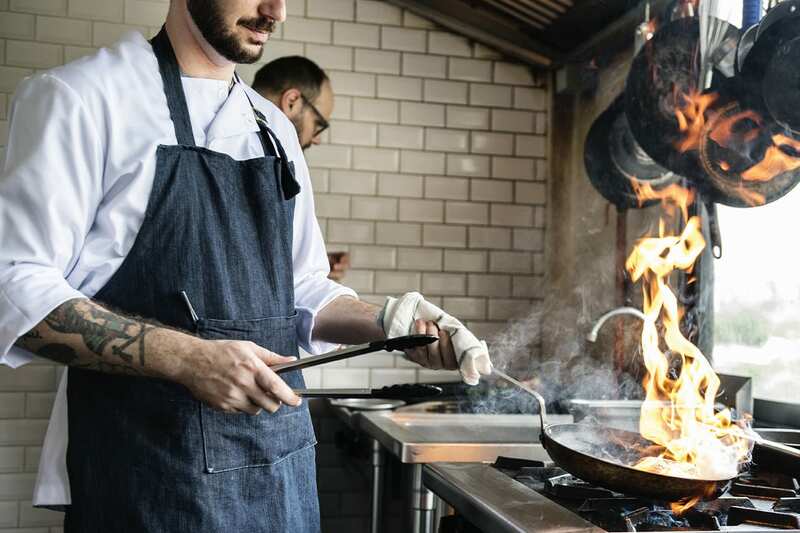 Now that you’re able to easily manage multiple concepts out of one kitchen, you can start adding even more many different online ordering services and that means more revenue and profits — without fear of missing orders or your staff getting confused. With a single tablet and printer to manage all incoming orders, and cross-platform analytics, Ordermark helps you understand your online ordering business like a pro. Already have Ordermark in your restaurant? Adding a Virtual Kitchen costs just $49/month! 6. Any other advice you’d give restaurants interested in starting a virtual kitchen? Make sure your kitchen and staff have the ability to handle more volume! Check your menu’s inventory and make sure you have enough cooks in the kitchen to handle all your new orders. And before going all-in, and starting multiple concepts, start a Virtual Kitchen with a concise menu to make sure things go smooth! California native and travel aficionado, Erik works directly with Ordermark's partners to ensure businesses are realizing their maximum potential with online ordering. His experience working with some of the largest delivery companies gives Erik expert knowledge about the growing industry, which he uses to help restaurants grow revenue daily!